Unfortunately it’s that time of year again. After what was a really good Summer I’m afraid to say i’ts time to get the coats out! A Winter coat is a really good investment and it is something that can last you a few seasons if you invest in one. I have pulled together a few of my favourite coats that I have seen recently. I hope you like them…I may have treated myself to one or two! The first coat is really on trend at the moment. This is from Bershka. The above coat from Bershka also comes in Grey and Camel, see below. The next coat is really similar to the first but it is from Penney’s and retails at €40! The next coat is a gorgeous one from Zara, I really like the faux fur cuffs. Click here to buy. The next coat is also from Zara, it’s a checked double breasted coat. Check is really popular this season. The next one is another from Zara, Zara are really scoring high with me on the coat front this season! Next is this stunning coat from River Island. You can’t go wrong with a nice black coat, it goes with pretty much everything. This also comes in a beige and black, orange and beige. The next coat is from Bershka, as you can see checked coats are really on trend this season. This coat is also available in a larger red check. Another coat from Bershka below, I really like the cut on this one. 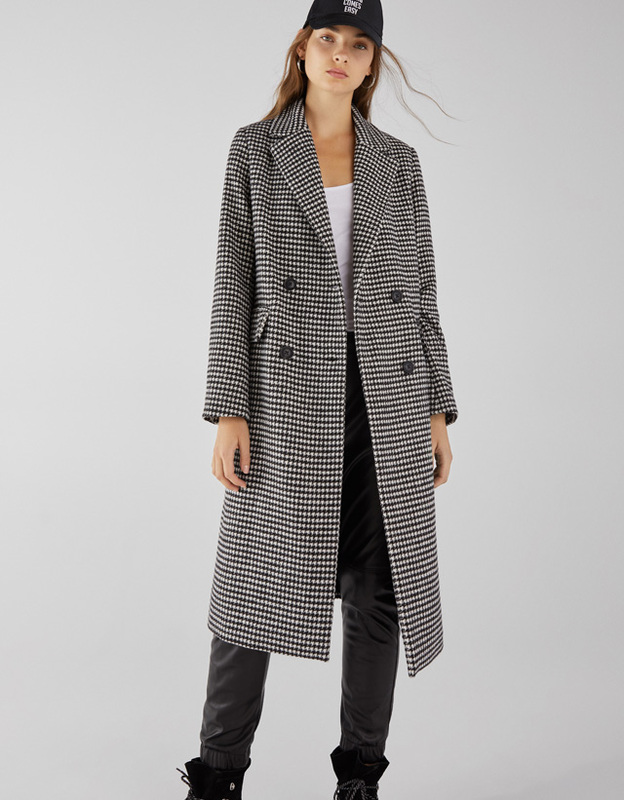 The next coat is a lovely one from Dorothy Perkins, this is the perfect coat for the more curvy lady and is available to buy up to a size 28. The next coat is another from Dorothy Perkins, this is a lovely simple camel coat. There are so many nice coats in the shops at the moment that I could add another 20 to this list! I tried to narrow it down to a few of my favourites. I hope you find something you like.